Richard is an Italian old style double sofa bed with curly armrests. 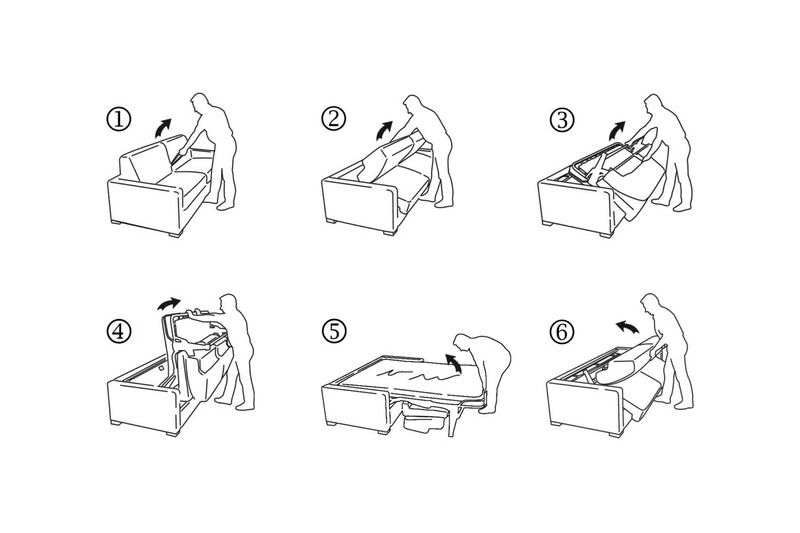 Also in XL single, French double and king size models, it includes a 200 cm h.14 mattress. Richard is an old style double sofa bed with curly armrests decorated with ribbon strings. Richard is also available in a single armchair version, and XL single, French double and king size sofa models. 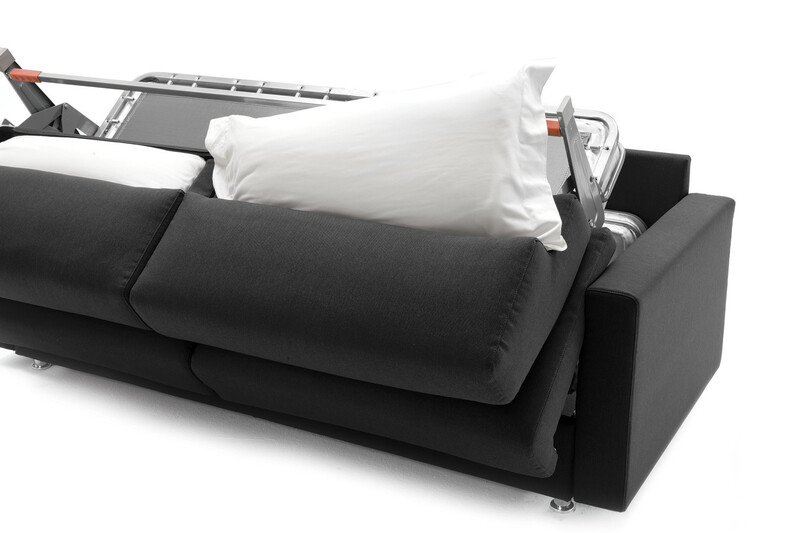 The Lampolet mechanism guarantees a fast and easy opening thanks to a handle hidden between the armrests cushions: you only have to pull it toward yourself and hold the bed frame to open the bed, without having to remove any cushion at all. Thanks to its classic look, Richard never goes out of fashion, and is suitable to furnish classy homes, country environments, farm holidays and vacation houses with an Occitan style. Ideal for contract environments or private houses, this sofa bed with round arms includes a 2 metres long and 14 cm high mattress available in several models to meet all needs in terms of comfort and support. Richard is equipped with a comfortable pillow holder hidden in the backrest. All models include a Standard h.14 mattress with Bonnel biconical springs. As an alternative, several other models with pocked springs, in polyurethane and latex are also available. 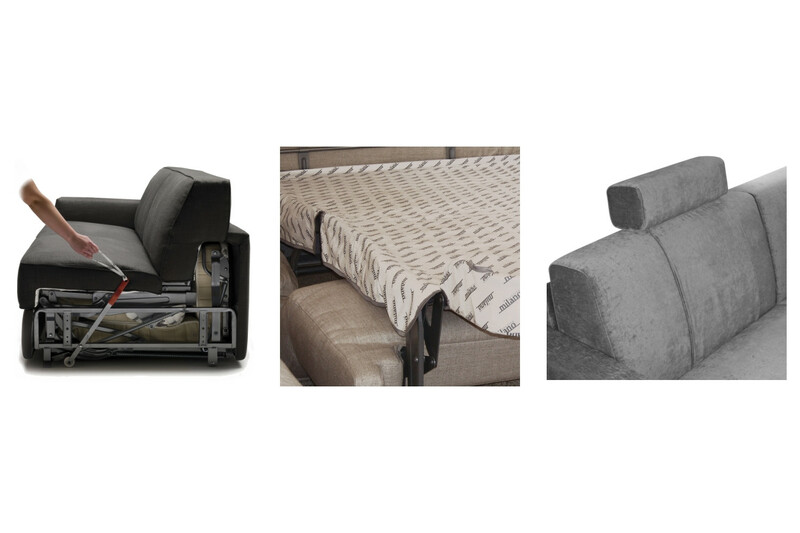 The sofa bed is available in fabric, eco-leather and leather, in all the colours displayed in the samples page. Richard cover is completely removable. The model with ribbons on the sides is only available in fabric. Richard is available with "tight" cover on all the structure, or with decorative ribbons on the armrests structure. Mechanism or structure: high resistance furniture tube, oven coated with epoxy powders. Bed base made of plastic coated electrically welded steel mesh, fixed to the structure with springs. Seat in polypropylene fabric. Mechanism opening and closing in one time. 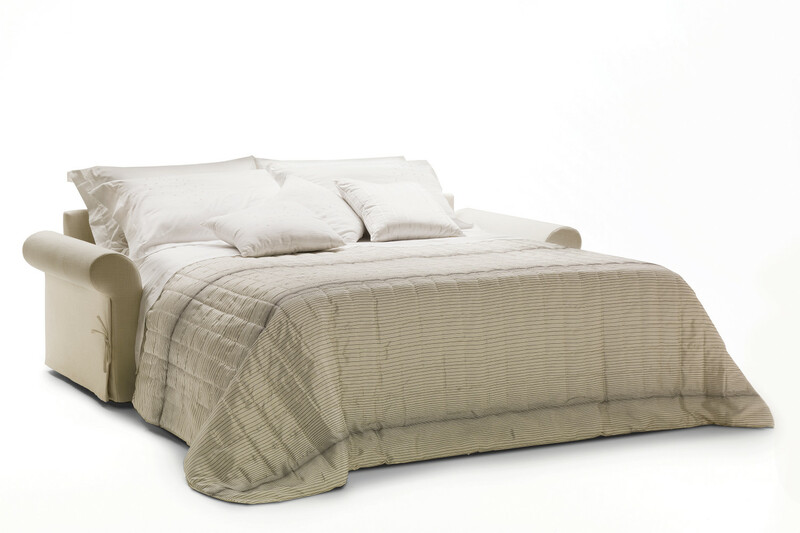 Standard mattress: “Bonnel” springing in tempered steel with a diameter of 2,20 mm; a 25 Kg/m³ expanded polyurethane layer on top and bottom; 100% cotton fabric quilted with g 200/m&sup2 100% PL resin fibre and nonwoven fabric; quilted side with aerators; tape edge. Non-bearing front panel in particle wood. Headboard in particle wood, fir plywood and solid fir wood. Seat: 35 kg/m 3 expanded polyurethane covered with 100% PL wadding combined with 280 gr/m 2 interliner + mm. 2,5 quilted interliner.